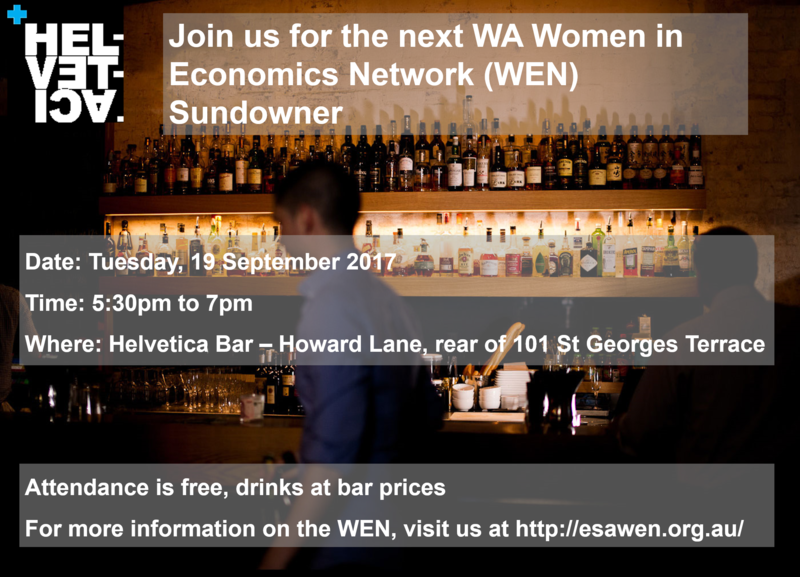 Please feel free to join the Women in Economics network on the ground floor of Helvetic Bar for some free nibbles including a variety of cheeses, cured meats, sundried tomatoes & olives (attendees purchase their own drinks). Thus the Sundowner will be a great chance to meet up, have a chat & network whilst enjoying some drinks and yummy free food. There is no registration cost to attend the event & free nibbles. However, attendees will buy their own drinks at the venue. For event flyer, please click here!